San Francisco still has it’s share of flamboyant showmen, though few so dapper as Mr Belli here, and who of them, in our day, would show such boldness by topping their outfit with a with a pipe. And I am unaware of any current local dandies with a cannon. Note the coat tree in the background with vest and 2 hats, and the bottles of hooch on the shelf. Those liquid details never escape my attention. 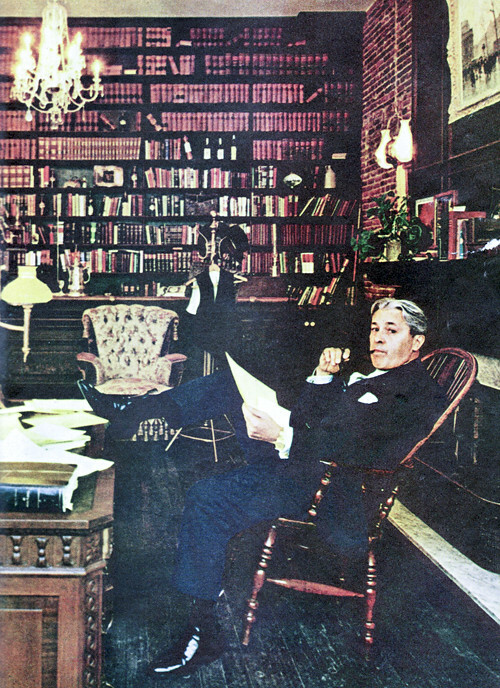 Belli pictured in his San Francisco office, from the April 1961 issue of Holiday magazine.